This is an alternative to Business Contract Hire (BCH) and works by having a different system in place for dealing with the vehicle at the end of the lease period. What does ‘financial lease’ and ‘operating lease’ mean? Why choose finance lease over business contract hire? What is a finance lease on a car? Is it different to a van lease? How do I get the best finance lease deal? The main difference between contract hire leasing and finance leasing is to do with what happens at the end of the lease. When you lease a vehicle with a business contract hire agreement, you are expected to return the vehicle to the leasing company (known as the ‘lessor’) in near-perfect condition at the end of the contract, considering fair wear and tear. Factors like damage to the car or excess mileage will incur a fee that must be paid. With a finance lease, you (the ‘lessee’) are responsible for selling the car to a third party at the end of the contract and settling the contract with the lessor via a final balloon payment. This way, any damage, excess mileage or other issues that lower the market value of the car become your responsibility. The vehicle appears as an asset on the lessee’s balance sheet, with any outstanding rentals listed as a liability. Listing the vehicle in this way can improve the company’s financial standing (as it has a greater number of assets). VAT on vans can be 100% offset against your VAT return. For cars, this offset is 50%. Rentals are corporation tax deductible. Customisable monthly payments offset by the final balloon payment. Utilising finance leasing provides an additional line of business credit that leaves other core banking arrangements unaffected. Regular monthly payments at a fixed rate. Optional maintenance package to prevent sudden expensive costs for repairs. Optional GAP insurance available to protect against depreciation in the case of an accident. Lower levels of administration for the business. Advice and support from your leasing company. When you take out a finance lease, you are making an arrangement with the lessor to pay them rental for their vehicle for the length of your contract (typically two to four years), and then sell it at the end to reimburse them an agreed amount. You never own the vehicle, but you can treat it as yours in every way, including putting your logo on it or making other modifications to suit your business needs. The amount you pay for the finance lease is agreed between you and the lessor and is set for the term, so you never have to worry that the monthly payments will change. You also agree a final ‘balloon’ payment at the end of the contract. When the time comes, you sell the vehicle and use those proceeds to pay the balloon payment, which will then end the contract. If you want to retain the use of the vehicle, then you can extend the agreement for a further year. You will need to pay a low rental amount (known as a ‘peppercorn rental’) and will put off the final sale and the settling-up of the balloon payment for a year. This can be done each subsequent year at the agreement of the lessor but be aware you will be devaluing the vehicle as you use it more and the final balloon payment is less likely to be covered by its eventual sale. What do the terms ‘financial lease’ and ‘operating lease’ mean? In very simple terms, a financial lease is one where the risks and rewards of the asset (the vehicle) belong to the lessee and an operating lease keeps those risks and rewards in the hands of the lessor. In terms of vehicle hire, contract hire is an example of an operating lease, where finance lease is a financial lease. Many businesses feel constrained by the terms of a contract hire agreement. This is especially true for companies that use vans daily. The van is a workhorse vehicle, used for taking tools, supplies, business products and a variety of other things from place to place and is often given less regular care and attention than might be true of a luxury executive car. In short – vans somewhat suffer in the hands of their keepers! Under a contract hire, it is easy to be constantly worried about the state of the van, forever imagining increasing fees that may become a reality at the end of the contract. Mileage becomes an issue, and a layer of stress mars the smooth experience of the lease – something which leasing is specifically tailored to reduce. Through a finance lease, there is no one looking over your shoulder regarding the state of the vehicle. Of course, it is still in your best interest to keep it in the best possible condition for future sale, but any modifications or damage done become the responsibility of the lessee and can be dealt with in the manner you see fit. Quite aside from the other financial factors, this greater relaxation towards the vehicle wear and tear is often a defining factor in making the choice to take out a finance lease. Other than VAT offsetting (van offsetting is a full 100%, where car offsetting is set to 50%), there is no real difference between a car finance lease and that for a van. Typically, however, the benefits of a finance lease, compared to a business contract hire when looking at cars (especially higher-end vehicles) make contract hire a more suitable alternative. For more advice on finance leasing vs. contract hire when looking at a car, give us a call at Complete Leasing today. If you are considering business leasing, whether its for a car, a van or an entire fleet of vehicles, Complete Leasing are here to help. 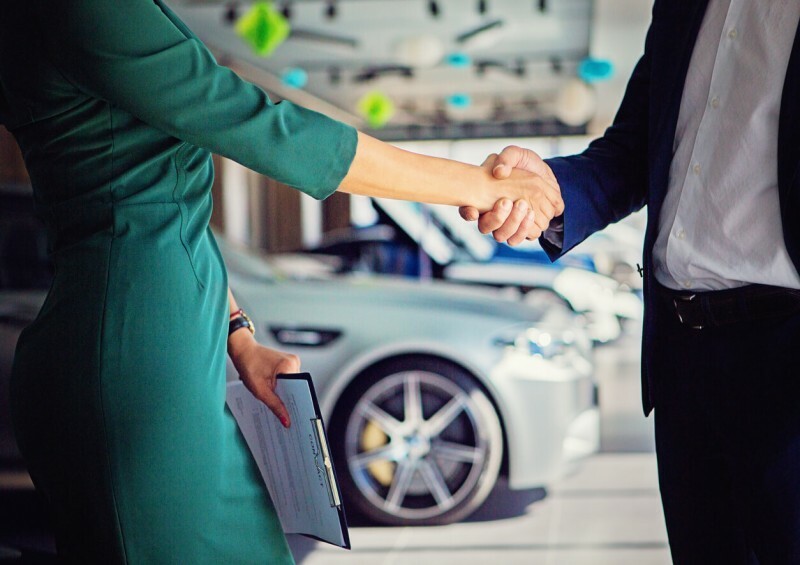 We have expert representatives who work with a range of the top leasing companies across the UK and are at your disposal to find the best leasing deal for you. Every business is different, and we understand that for some, a basic business contract hire doesn’t provide the features of a finance lease that may be more suitable – that’s why we work with companies that offer both options. If you want to know more about what happens at the end of a leasehold or would like us to calculate a finance lease example to help you understand more, give us a call today, send us a message on Facebook or Instagram, or fill in our contact form to have one of our advisors call you at a suitable time.